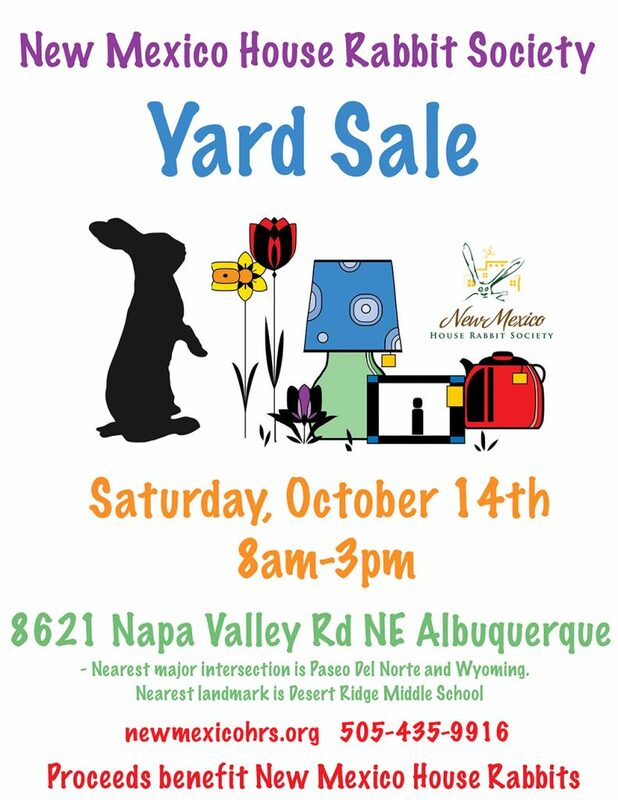 Come along to our annual yard sale to raise funds for our work in education, advocacy, adoption and rescue. albuquerque, fundraising, yard sale. Bookmark. Bunny 101 Class and On-Line Ticket Sales for Quilt Raffle Extended to 10/23!